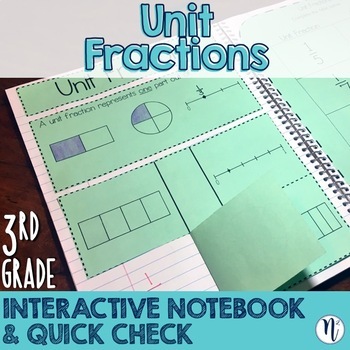 These interactive notebook pages give students an organized, tangible collection of all the 3rd grade math TEKS. 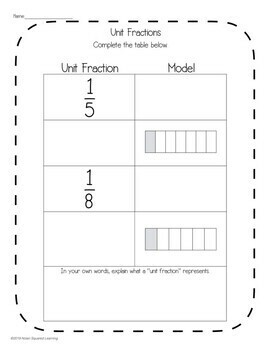 They provide a concise introduction to a new skill, a tool to use for review when testing rolls around, and they serve as a great take-home resource for parents to see exactly what we are learning in math! I've designed these pages in such a way that they have minimal graphics and distractions so we can focus on learning and practicing each skill. 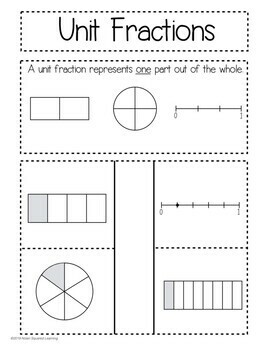 I've used these pages in both a whole-group and small-group setting, and they have worked well for me in both! 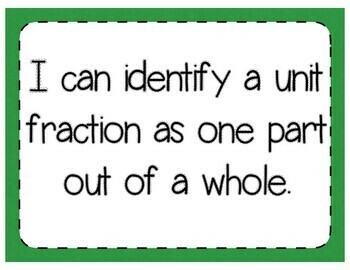 This download covers TEKS 3.3C: Explain that the unit fraction 1/b represents the quantity formed by one part of a whole that has been partitioned into b equal parts where b is a non-zero whole number. Follow Nolan Squared to hear about new products and sales!